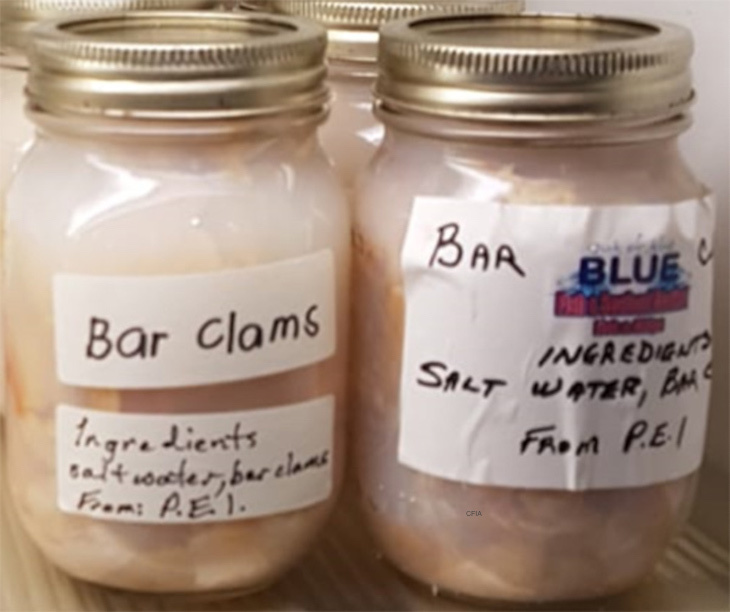 Out of the Blue Fish & Seafood Market, located at 1A The Square in Bayfield, Ontario, Canada, is recalling bottled bar clams because they may permit the growth of Clostridium botulinum bacteria. No illnesses or adverse reactions have been reported to date in connection with this recall. The recalled products are Out of the Blue Fish & Seafood Market bottled bar clams. All units sold from October 1, 2o18 up to and including February 28, 2019 are recalled. In addition, unbranded bottled bar clams are recalled. All units sold from October 1, 2018 up to and including February 28, 2019 are recalled. Neither product has a UPC number. Foods that are contaminated with this bacteria can become contaminated with the botulism toxin, which can cause severe illness and death. Symptoms of botulism food poisoning include facial paralysis, drooping eyelids, blurred or double vision, difficulty speaking, slurred speech, and unreactive or fixed pupils. Other symptoms can include difficulty swallowing and generalized weakness. As the toxin progresses through the body, downward in a parallel way, breathing will become difficult. An antitoxin is available, but it is only administered in hospitals. Foods that are contaminated with this toxin do not look, smell, or taste different, and the texture of the food is not affected. 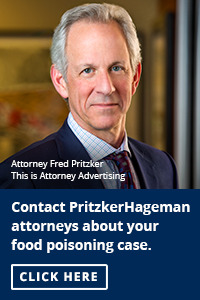 Do not even try to taste foods that may contain this toxin. If you purchased their products, do not eat them. Wrap them well in foil or plastic wrap, then put them into a secure garbage can so other people and animals can’t access them. Or you can return them to the place of purchase for a refund. What Are the Common Symptoms of Food Poisoning?